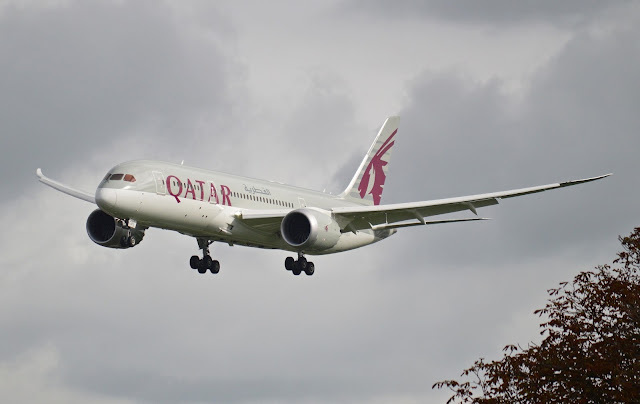 Qatar Airways with its brand new fleet, Boeing 787-8 Dreamliner, one of the most advanced passenger jet aircraft in the market. The first picture shown seat configuration in economy class. They have 3-3-3 seat configuration with spacious 17.2 inch width and nice 31 inch pitch (legroom). These are more than enough to give comfortable feeling during flight in short, medium even long-haul flights. Meanwhile, the business class area is on front of cabin area, separated by toilet. 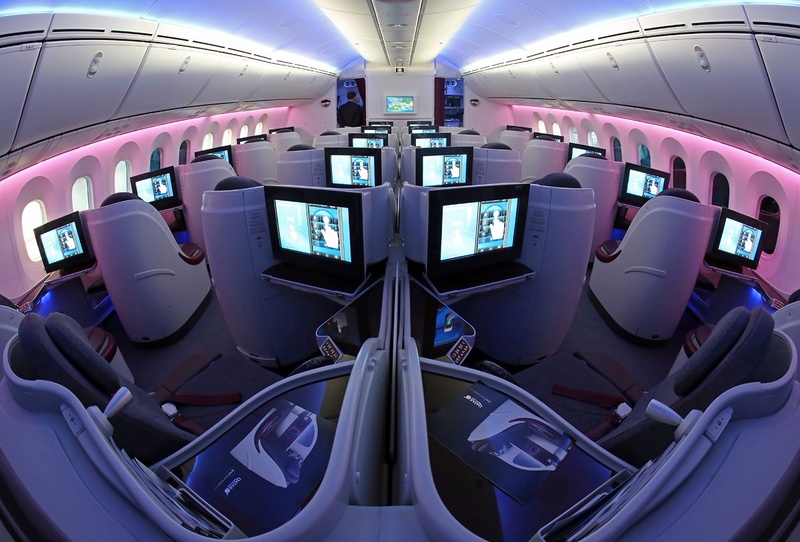 In this class, seats able to recline 180 degree or fully-flat-bed. The angle of seats being adjusted ensuring maximum privacy on each passenger. Business class seats featured spacious and comfortable seats as well. It has 22 inch seat's width and 80 legroom. 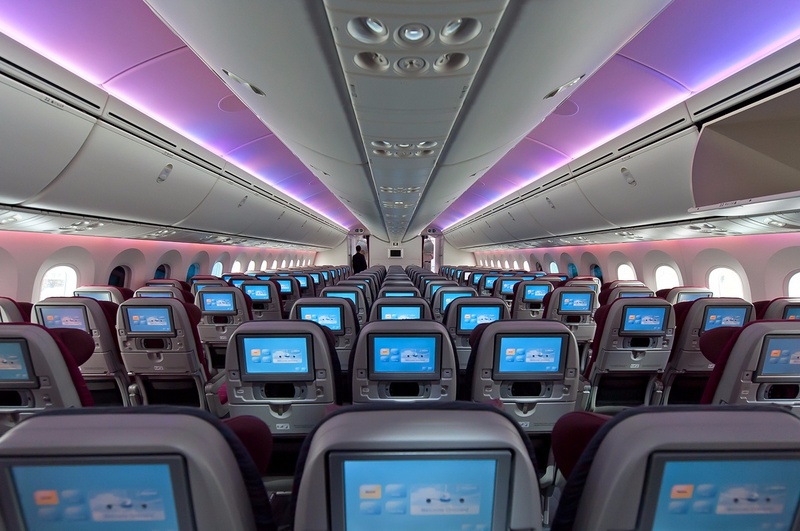 Boeing 787-8 Dreamliner of Qatar Airways divided only two classes, 22 seats business class and 232 seats economy class. Whole seats have personal on demand flight entertainment such as audio and video. Passengers also can internet access via wifi although should pay certain of money. Currently, Boeing 787-8 Dreamliner of Qatar Airways provide flights from Doha, Qatar to major country in Europe.